All rooms are air-conditioned all have TVs, each room has coded doors means greater security without the hassle of key deposit. The dorms are or 4,6,8 or 10 bed dorms, Some are en-suited but otherwise the bathroom is next door. Full bedding is included including Quilts. 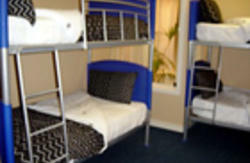 Today more couples are choosing hostels over motels. But they still want a nice room. When we renovated we put in brand new En-suited bathrooms. These are all beautiful, and half have baths. It makes our doubles & twins something special. Travelers fall in love with our doubles and you will too. The hostel boasts an inviting beautiful communal kitchen with Storage shelves for all your food, big commercial fridges to keep anything cool. To match the lifestyles of our guests it's open 24 hrs a day .Reception is open from 8am until 8pm; our staffs has some of the best travel deals in town. Annie's Place the easiest place to meet other like minded travellers. 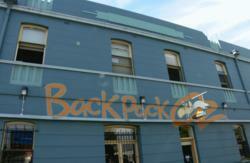 Our Adelaide hostel is situated in the west end of town. The Famous Paris End. One traffic light from the central Bus station. Two streets south is the central market and Gouger Street (the Cappuccino strip). Three streets north is Hindley Street, where for the party goers there is EVERYTHING! 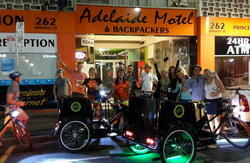 We are also the closest Hostel in Adelaide to the Airport (10 minute drive) and Train Station (5 minute drive). The Skylink City Airport Shuttle picks up and drops off at the front of our Hostel. The Airport Shuttle is $10.00 and can be booked at Reception. Free parking is available at the front of the Hostel.